That’s according to a former regulator, one who, as the first-ever superintendent of the New York State Department of Financial Services, the state agency that regulates financial services and products, was among the first globally to attempt to regulate bitcoin. “A big open question is, if ICOs get very out of control,” it could result in “a backlash against the entire bitcoin and crypto ecosystem,” Benjamin Lawsky said Monday at Money2020 in Las Vegas. 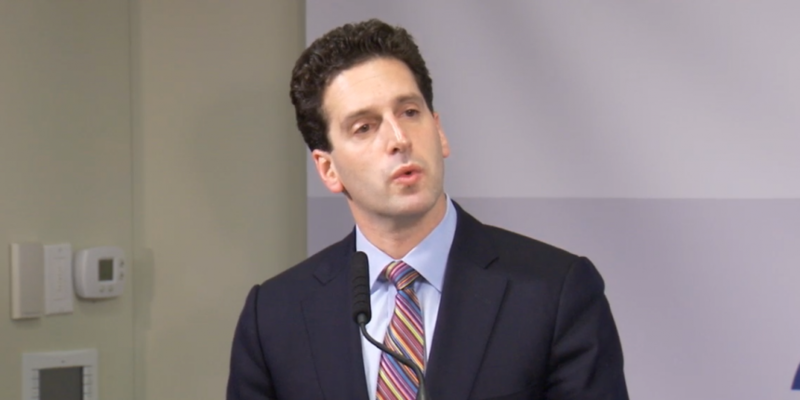 The head of the NYDFS from 2011 and 2015, it’s on Lawsky’s watch that the agency created and enacted what has come to be called the “BitLicense” regulations, a series of alterations to state money transmission laws specifically tailored to digital currencies. Since he left office, however, the field has expanded well beyond bitcoin, to include not only a wider variety of cryptocurrencies and private blockchains for enterprises but also ICOs – a term that denotes the process by which a company or software development team seek to use a custom cryptocurrency to raise funds from the public. According to CoinDesk’s ICO tracker, token sales have raised a cumulative $2.67 billion, most of it in the last 18 months. Yet, while many see ICOs as an engine of innovation, there is also widespread worry that a number of these projects are illegal, unregistered or outright scams. Against this backdrop, the concern expressed onstage by Lawsky was not unique to his panel. At the conference, several attendees throughout the day remarked that the ICO market’s excesses could bring a regulatory hammer down on the entire industry. Still, most appeared to think this would be a natural reaction to market development. For his part, Lawsky added that he was not casting judgment on the funding method, but “merely pointing out the reality” of how regulators operate when faced with practices that could put consumers at risk. But Lawsky said he didn’t want to do that, and that he just sought to ensure there were appropriate “guardrails” to prevent money laundering and protect consumers. Still, the anecdote perhaps seeks to underscore the pressure other regulators may now be under in regards to ICOs, and why he believes the U.S. market could end up producing rules that, while contentious, are less restrictive than those seen internationally.